Woman escapes with her two children from her abusive Arab husband and returns to life as a Jew in Israel. After 12 years of living with an Arab man and having two children with him, Orli (invented name), who could no longer take the physical abuse, heavy economic hardship, and murder threats, decided to flee her husband’s home with her two children. Immediately upon making the decision, she turned to the Yad L’Achim anti-assimilation organization and requested help. She and her children received everything they needed in order to start life anew from the organization, starting with help finding an apartment, financial and legal aid, as well as personal counseling for her two children. 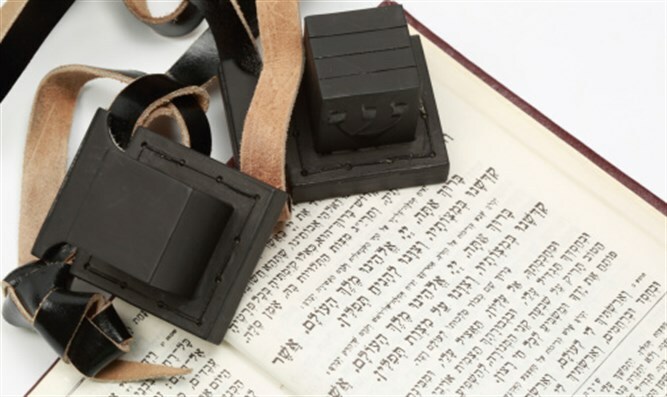 On Thursday, Orli and her children came full circle when her son put on tefillin in a Bar Mitzvah ceremony at the Western Wall in the Old City of Jerusalem. Orli turned to the organization for help to ensure that the ceremony, including the reading from the Torah scroll, were done in accordance with Jewish law. With shaking hands and tearful eyes, Orli related how excited she was. She explained that, before she had been acquainted with Yad L’Achim she had not raised her children as Jews, and she never dreamed that her son would one day celebrate a Bar Mitzvah ceremony as a Jew. The ceremony saw the participation of Orli’s close family and representatives of Yad L’Achim who are aiding Orli and her children. Excitement gripped those present especially when the boy gave a speech about the Bar Mitzvah celebrations and the special connection of the Jewish people to its tradition. At the end of the celebration, representatives of Yad L’Achim gave the boy a tallit and a pair of tefillin as a Bar Mitzvah gift.